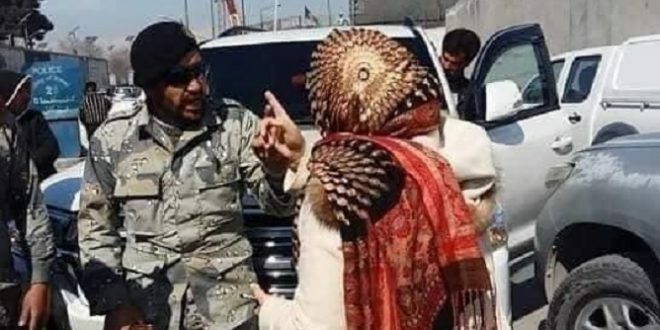 KABUL: The Ministry of Interior said Monday that a female member of parliament who slapped a police officer in Kabul, the capital city, would be probed seriously for her unlawful act thorough legal channels. Kabul police spokesman, BasirMujahid said police stopped vehicle of ParwinDurrain to search in MassoudSqaure where she got anger and slap the officer. She angrily got off from her vehicle and tried to stop the officer form being searched her armored car, but she refused to cooperate instead insulted the officer. After verbal abuse, she slapped the police officer in his face, the spokesman said. It is duty of police to search vehicles in a bid to ensure security of the residents. “They are simply doing their work,” he said.